Due to heavy ice formation within the boundaries of the Port of Vladivostok encompassing Amur Bay, Zolotoy Rog Bay, Diomid Bay, Bukhta Uliss, Eastern Bosphorus strait and the bays of Russky Island the Vladivostok Harbourmaster Alexander Vanyukov announced the beginning of ice-breaking season as from 00:00 (Local time) December 29, 2017. 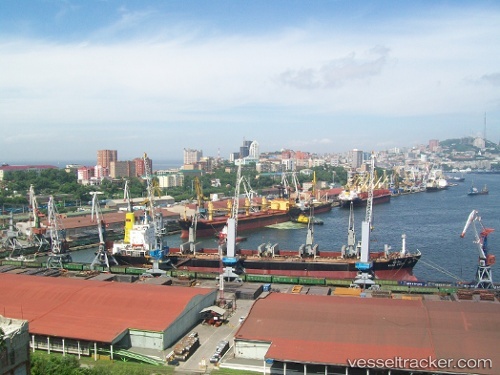 According to his order, the Port State Control officers at the seaport of Vladivostok will oversee and grant permission to enter the port and sail only to ships having Ice2 class. The assistance will be provided to ships under owners requests and at their expense by icebreaking vessels with ice class not below Arc4. On 2 May 2017 (13.00, local time), Cruise liner Costa Victoria moored at the passenger terminal of port Vladivostok. According to IAA PortNews correspondent, the ship carries about 2,000 passengers and 1,000 crewmembers. After a 9-hour long stay the ship will continue the cruise which started at the port of Sokcho (Republic of Korea). Having visited the Japanese ports of Kanazawa and Sakaiminato, the ship will return to Korea. A traditional welcome-ceremony has been arranged at the passenger terminal. The call of Costa Victoria opened the cruise season at the port of Vladivostok. From May 9 till September 20 the port is going to welcome 13 calls of cruise ships including four more calls of Costa Victoria.